The important point here is that the ARGO corrections had already been done as described in the 2007a paper when Willis admitted the “slight cooling” in the NPR article in March 2008. However, if we look at the ARGO data as it is presented in 2011 by NOAA, the “slight cooling ” from 2003 to 2007 has been replaced by a slight warming. Of interest is Anthony Watt’s 2009 post on the comparison of Craig’s ARGO graph and co2 level rise rate, which also shows a dip over that time period. It looks to me like ARGO suffers as many post hoc adjustments as the GISS datasets. My thanks to Bob Tisdale and Anthony Watts for their graphics used in this post. You might want to examine the Ar/N2 ratio. Ar is of course inert and non-biotic and although N2 is a biotic gas, there is so much of it that small changes caused by its transformation by the biosphere are trivial. The two gasses have different solubility vs. temperature properties, therefore the partition between the surface of the oceans and atmosphere gives one some indication of ocean surface heat and the transfer of deep ocean gasses to the (warm) surface. Every year at budget time we adjust the numbers until management is happy with the result. Why should temperature be any different? Hi Roger! The latest GISS trick on Hansens journey to destroy the Norwegian temp history. This time he has massaged the Jan Mayen data. It doesn’t matter which one of the adjustment types you choose, GHCN, homogenity adjustment or “after removing suspicious records”, they all tell the same fairytale. You realize, that 0.7×10^22 J/year, accumulated in the upper 700 m of oceans, may sound much, but the oceans are vast, with a surface area of 3.6×10^16 m^2. It implies a mass of 2.5×10^20 kg for the upper 700 m. As specific heat of water is 4.2 kJ/kg, you need 10^24 J to raise its temperature by 1°C. 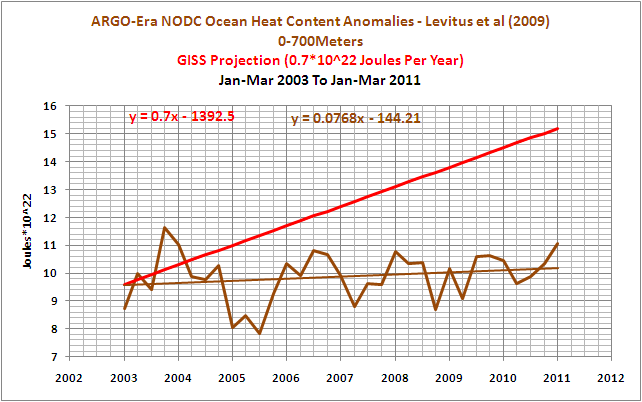 Therefore the warming rate projected by GISS is equivalent to a warming rate of 0.7°C/century. And that’s the upper end of it. If the actual rate is lower than that (by an order of magnitude or so, as shown by ARGO measurements), it is surely less than 0.1°C/century. I always wondered, how could computational climate models used in IPCC projections make the surface warm much faster than the upper oceanic layers. It can only happen if vertical turbulent mixing is severely suppressed and a thin surface layer is all but detached from the rest. However, it brings the meridional overturning circulation to a grinding halt*, contrary to observations. * Note: The so called “Thermohaline Circulation” is not thermohaline at all. Its proper name is MOC (Meridional Overturning Circulation) and it is not a heat engine, but is mechanically driven by deep turbulent mixing, induced by winds (mostly over the Southern Ocean) and internal tidal waves. Will one of you fellows please explain what on both skeptics’ and warmists’ sides are the error bar uncertainties of W/m2 for planetary energy balance equations? As the Trenberth comment attests, the cloud cover, i.e. reflective quantities and proportions of the albedo, are not well known. An albedo difference of 0.296 to 0.300 is significant with the TOA TSI especially if the timing of such changes corresponds to either aphelion or perihelion positions. The heat flow calculations, from what I see, are only in contradiction to observation if you can nail the inflow energy to < 0.30 W/m2. 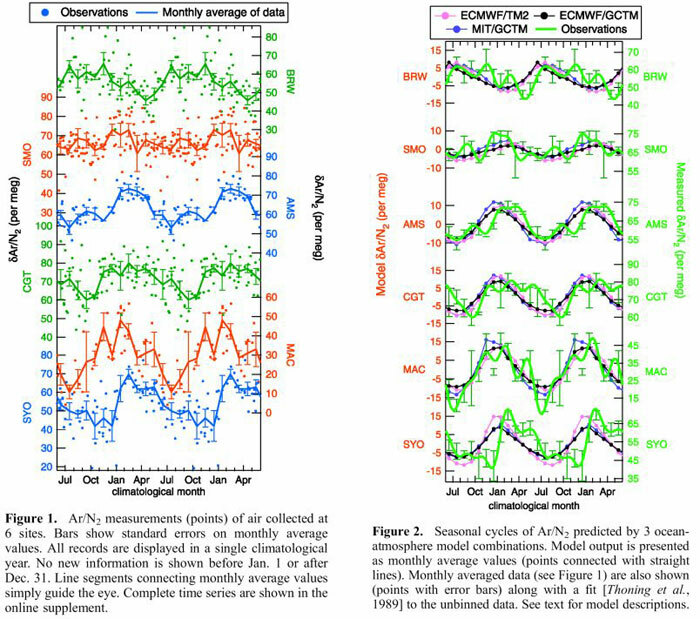 Although mathematically you can compensate for orbital variations to the TSI, and general sunspot cycle TSI changes, you need data to correlate the mathematical averaging to actual planetary averaging. Is there data to support the mathematical averaging as being representational of reality, and within what time-frame? All systems are actually in a dynamic equilibrium, not static equilibrium. Processes vary around a mean. Balance is a perspective of time; today the amount of sun energy received and released is not the same as yesterday's or tomorrow's, but over some period of time the input and output essentially match, otherwise we would have a consistent cooling or warming. Both of which we have had in the last 70 years. This question is a buggaboo for me: until there is data to support input data vis-a-vis albedo and TSI variations to an accuracy and precision of <0.3 W/m2, I cannot see any but arm-waving value to discussions of current unbalanced energy over the last 50 years. Fifty years may seem like a lot to us humans, but it is a point-in-time for the planet. Fifty years ago I was taught by teachers who spoke of the weather/climate they experienced 50 years previously, i.e. 100 years ago, and remember how different they said the 60s were relative to the 10s. So I'm asking someone to help me out here with this simple question: what emperical basis is there for holding that actual input-output energies of the planet on the 30 year or less basis is stable to within 0.3 W/m2? Normal atmospheric pressure at the Earth’s surface can balance a column of mercury (which is a very dense liquid metal) 760 mm high (just over 3/4 metre); this equates to a column of water 10.33 metres high. Another way to envisage this is to consider that the atmosphere exerts a pressure equal to the weight of the column of air above a given area. The pressure is 1.03325 kilograms per square centimetre; the height of a column of water weighing 1.033 kg, and therefore exerting the same pressure on 1 sq.cm is 1033 cm or 10.33 metres. The mass of the atmosphere is equivalent to a depth of just 10.33 metres of sea water. When the ocean area is taken into account (71% of the earth’s surface), this equates to 14.5 metres depth of ocean. When heat content or capacity is considered, the disparity is even larger. The specific heat (amount of heat needed to heat one gram of a substance one degree Celsius) of sea water is 3.93, the specific heat of dry air is 1.006. So what does all this mean? It means that the heat capacity of the atmosphere is equivalent to just 14.5 x 1.006/3.93 or just 3.7 metres of ocean depth. The ocean’s heat capacity is hundreds of times greater than that of the atmosphere. The idea that the atmosphere “drives” the oceans is risible; the reverse must be the case. Interesting that Trenberth went on record as saying he thought the heat had been lost to space, before adding that it might be in the oceans. It doesn’t puzzle me. I think extra caution is always needed when commenting on the latest “record”, or near-record, temperatures. If something accumulates extra heat until the temperature creates a new record, and then accumulates no further heat, it will still remain at the same “record” temperature. Other things being equal, it will remain so until some extra heat accumulates or is lost. If the hottest day of next summer fell on, say, the 1st of July, then it shouldn’t much surprise people if the 2nd or 3rd hottest days of the year also fell on the succeeding days. Or the preceding days. Only a tiny amount of extra heat is required to produce yet another “record” high. I know that may seem trivial to many readers of this blog, but it’s surprising just how many people think otherwise. When the BBC trust commissioned a report about the quality of BBC science coverage, they asked the well known scientist and author Steve Jones to step in. Much as I admire Jones and his writings on biology and evolution, even he made some banal comment about how many near-record temperatures had arrived in the previous decade. Walk up to the precise summit of a local hill [if you’ve got one]. Now shut your eyes, turn around a couple of times, and walk one pace in any random direction. Now open your eyes. Guess what? You’re still standing very close to the highest point. Repeat the process, and it’s still true. You may have stepped back up the hill, not further down. I’ve wondered if ARGO “adjustments”, or other manipulations of ARGO account for how GISTemp changes in the last 12 years. AAiM, I do not know if the future will become hotter, but I do know that the past will get cooler. It is notable that in the original Willis article it is asserted that sea level rose ½” in the preceding 4 years, and “That’s a lot.” AFAIK, that’s about 3mm/yr, or 30cm/century (1′). Which is quite far from “a lot”. Yet he and Trenberth immediately take it as a clue that the abyssal depths are heating up, or SLT. The hand-wavery is hilariously histrionic. Just stand back so you don’t catch a backhander in the chops! Stand back from the apostrophe key. Don’t touch! It’s “copies”, not “copy’s”. Pliz. Yes. I’ve written about how Arctic sea ice acts essentially like the thermostat in a water-cooled internal combustion engine. Sea ice is a fantastic insulator for the water beneath. It blocks a great deal of conductive heat loss, almost all radiative heat loss, and the really big Kahuna 100% of evaporative heat loss. When it gets a little warmer in the NH tropics a little more heat is transported to the Arctic for disposal. The extra heat melts a little more ice and the cooling system effectively increases its capacity. The thermostat in an ICE (internal combustion engine) works in the same fashion. Warmer water from the engine block causes metal in the thermostat to expand which widens the opening allowing more water to move from block to radiator for disposal. The Arctic sea ice has an additional mechanism in that it effectively creates a greater surface area where cooling takes place as the water temperature increases. The reason we’re having a deep La Nina IMO this year is a consequence of the El Nino in 1998. If you look at Arctic sea ice extent you’ll note a step change reduction in 1999. This was the pulse of warm water from the 1998 El Nino arriving in the Arctic and transferring energy into latent heat of melting. The Arctic ‘radiator’ thus became about 10% more efficient (10% reduction in ice extent) over the next several years peaking in 2007 and now those chickens are coming home to roost in the form of a cold pulse making its way along the ocean floor back down to the tropics. Keep in mind there’s a dearth of insolation at high latitudes so albedo becomes increasingly less important so snow cover over land doesn’t mean as much. The ocean also reflects increasingly more as the angle of the sun gets lower so albedo importance diminishes there too. Inside the Arctic the big factor is sea ice extent because that makes a huge difference by blocking radiative and evaporative cooling and not conducting particularly well either. Also the transport mechanisms moving energy from tropics to poles goes faster with rising temperature difference between tropics and poles. When the Arctic sea ice ‘thermometer’ opens up it works to reduce the oceanic conveyor belt volume as the temperature differential between tropics and pole is reduced. These are all fairly simple heat engines using water as the working fluid. This particularly familiar territory for engineers because heat engines using water as working fluid is where you start learning about engineering. It’s no coincidence that ‘engineer’ starts out with the word ‘engine’. If Carnot Efficiency, for example, isn’t something you immediately recognize and understand then you won’t understand the earth’s energy budget or how the weather is generated from soup to nuts. The work produced by all these heat engines IS the weather. CO2 is at least a second order detail when the ocean presents a largely liquid surface and an infinite amount of evaporation. When evaporation gets restricted then radiative cooling becomes far more important and that’s when non-condensing greenhouse gases become critical. They’re a last line of defense against really radically plunging temperatures once water starts getting frozen out of the air and oceans covered with ice. Many believe non-condensing GHGs and soot from volcanoes are what build up over millions of years to melt a snowball (or slushball if you prefer) earth. Just ignoring the salinity changes of the oceans that are occurring on the surface for the last 4 decades. Afterall, they are not temperature data. Chris M: Dave Springer might get a surprise if he were to look at insolation totals over the year. The high latitudes get a lot more than people realise. Yes I think I see what you mean Tallbloke, midnight sun and all that. But the incident angle is still lowish isn’t it = more atmosphere for the sunlight to travel through to reach the surface? The missing heat has been found! Just take the ocean temps in °Kelvin and subtract them in °Kevin!! The residual is “l”, which designates °left. I think the energy is being reflected back to space due to increased global cloudiness caused by more meridional/equatorward jets. All those lengthened lines of air mass mixing, snaking about poleward and equatorward far more that they did during the late 20th century. 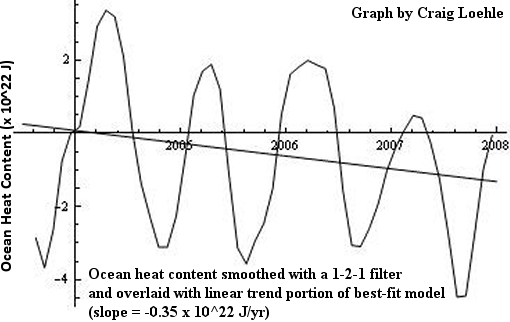 The longer it goes on the colder the oceans get and the cause seems likely to be top down solar effects with bottom up oceanic effects introducing variable time lags depending on the strength of each El Nino or La Nina episode. I’d love to see the data for the buoys that were excluded because they were reporting ‘unrealistically’ cold temps included. i wonder if their raw data has actually been dumped — or just hidden? The latest GISS trick on Hansens journey to destroy the Norwegian temp history. This time he has massaged the Jan Mayen data. Not only Jan Mayen, but also a host of Russian stations around the Arctic. As well as Iceland and Greenland of course. 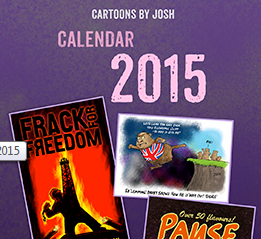 But, heh, it’s all in a good cause. Chris M, if you are correct in your hypothesis than it will be very easy to measure. The oxygen present in the deep ocean come from currents, and not from the surface. Oxygen cannot diffuse from the surface and on through the hypoxic zone, the oxygen instead is transported there from cold water from the polar regions. Measuring oxygen levels is a hell of a lot easier than measuring temperature and gives an completely unambiguous results. Brilliant! Measure the oxygen content. If we could measure the radioactive tritium etc. from nuclear fallout, we’d really have a handle on how far down the “heat” has gone over the previous 30 years. The best solutions are the most simple as there is less to go wrong need “adjusting”. Tenuc (and others): unfortunately, the debate/war/dispute/conflict is not with Phil Jones and others, but with Hansen/Gore et al. We must discredit CAGW with the GISTemp data. In typical American fashion, non-American data or positions are unimportant if there is any discrepancy between them and the American. Hansen/Gore can only be defeated with their own weapons. American CAGW is a true Greek tragedy. It’s strength is the source of its ultimate downfall. Even if the HadCru data in the future was shown to prove CAGW after the GISTemp data was found faulty, the inability of American self-image to recognize superiority in others would not allow CAGW to reemerge. Gore could never say Jim got it wrong but Phil got it right. The disconnect developing between GISTemp and other national government data is getting worse, not better. The disconnect between even GISTemp manipulated data and expectation due to theory is also getting worse, not better. Still, the GISTemp data is what counts in the world CAGW narrative. The IPCC may use HadCru, but GISTemp is its foundation in terms of political power. As time goes on, there are statisticians within NASA/NOAA who are creating the adjusted profiles, or are the colleagues of those that do, who do not agree with what is going on. The skeptics need to reach out to those in the shadows who bite their tongues so they can get their pay checks. Some will be quitting, some retiring. They need to get into the fray. At the same time, it is a little disquieting to me that – like the NIWA workers in New Zealand, the BOM workers in Australia – former or current NASA/NOAA employees are not on the Global Warming scene. Why is that? Is there really a uniformity of agreement within the American, New Zealand and Australian shops that the adjustments made and being made are legitimate? That would be both unexpected and disturbing to those of us who question the current CAGW story. They, if any, should be pulling their hair out. “Chris M, if you are correct in your hypothesis than it will be very easy to measure. The oxygen present in the deep ocean come from currents, and not from the surface. Oxygen cannot diffuse from the surface and on through the hypoxic zone, the oxygen instead is transported there from cold water from the polar regions. Correction, not my hypothesis but David Springer’s. I was impressed by the lucidity of his argument and thought it would be good to highlight his posts for discussion in this topic. Your suggestion sounds like a good one. I understand from comments I have seen elsewhere that you are a biomedical researcher. Perhaps you could utilize contacts in the academic network to get a suitable scientist interested in ocean oxygen measurements? -they were not able to rule out that the RISE RATE (the first derivative) of the CO2 concentration causes (part of) the observed temperature anomaly. With the test they applied, not being able to rule out causality means that this is likely what happens – this is where the connection between CO2 and temps probably is. A negative feedback mechanism like the one proposed by Miskolczi would result in a high-pass characteristic (well, to be specific, a derivative operator) that would have EXACTLY the properties that a candidate mechanism for the causal relationship proposed by Beenstock and Reingewertz would have to show. And this would fit Willis/Watts/Loehle’s observations. What’s the prediction? We will not manage to speed up CO2 concentration rise; it will rise near-linearly – price mechanisms in the carbon fuel market rule out exponential growth; China builds dozens of nukes and they know why they do it. The derivative of CO2 concentrations will stay constant positive. Probably has already since 2000. 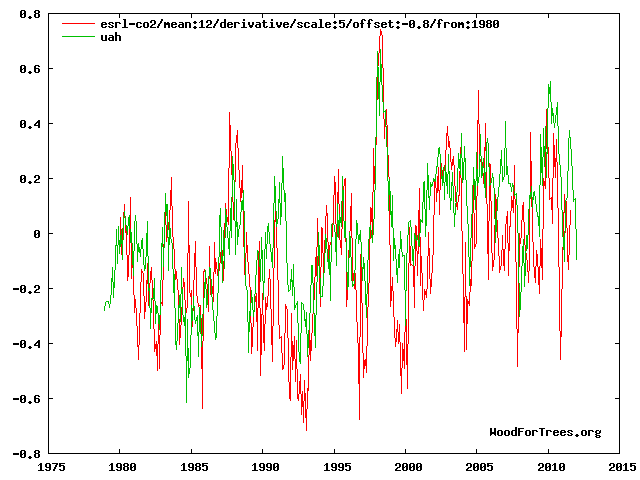 That means the GROWTH of the derivative may have fueled warming during 80ies and 90ies or contributed to it. But without a growing derivative since 2000 all it can do is offset temps slightly higher than they would normally be and not warm them even further. In connection with ARGO stuff, and WRT your issues with Joel Shore, I’ve just come across an even greater fruitcake over at WUWT, with his new handlebar of “itsnotnova”. Apparently he did not like Jo banning him on her site, so he spat the dummy and set-up his own website with the itsnotnova ID. RoHa, Sorry, but further to my post to you just above, I forgot to add; one thing that puzzles me about the travesty of the missing heat over the past decade or so, is the validity of the claim that the “CO2 heating effect” has somehow changed direction from heating the near surface troposphere and ocean surface to instead heating the depths of the ocean. Hopefully Joel Shore, Tim Folkerts, R. Gates or itsnotnova, can elucidate on this strange thingy, but does it mean that CO2 possesses intelligence and an agenda? It looks like R. Gates is taking a break, so is there any chance that you [itsnotnova] could respond instead?